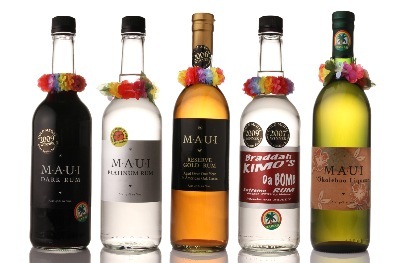 What’s going on in the world of Maui-made liquors? Lots… read on. 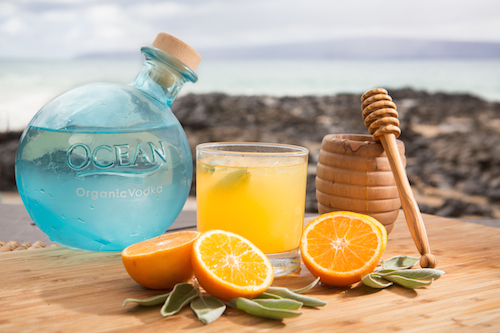 The new bottle is inspired by the traditional glass fishing net float – first used by the Norwegians in the mid 1800’s. Though they are no longer used for fishing, they occasionally wash up on shore or are found by boaters. Especially in the Pacific, most of the glass floats coming ashore originated in Japan. The traditional glass floats are now recognized as collectors’ items around the world. In a nod to the brand’s global relevance, the neck of the bottle is angled to mimic that of the earth’s axis. 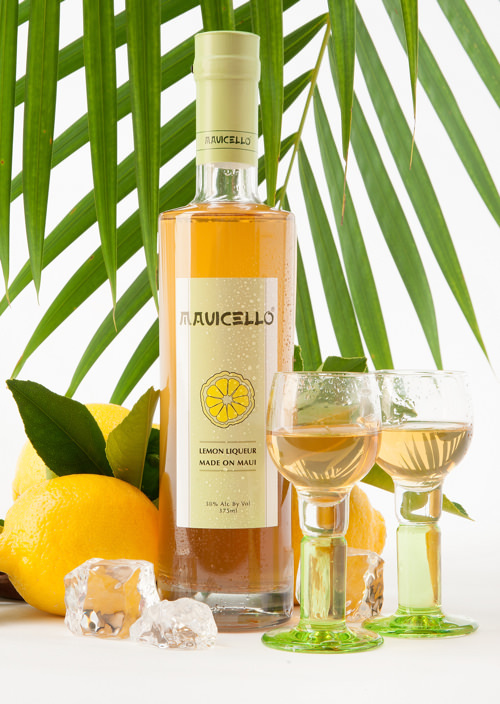 Additionally, the bottle subtly and elegantly showcases an evolved version of a more timeless logo mark. 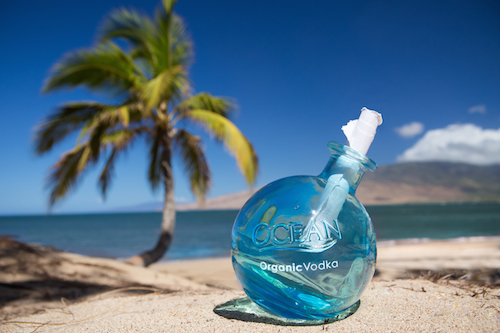 The bottles are expected to wash ashore on the mainland beginning in January 2015. 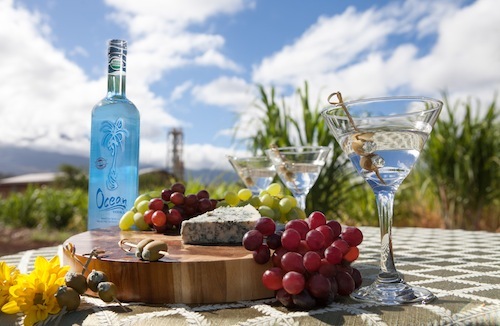 The rum will be available for purchase and sampling at The Farm starting September 1 and in limited release for introduction in Hawai‘i this year (Look for it at any retailer that carries Ocean), and in full release in the US mainland markets beginning 2015.
with captions like this: Drag conveyor set. 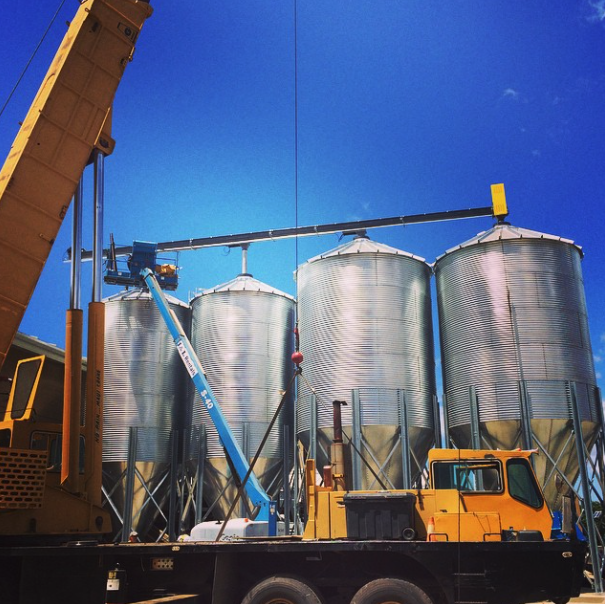 We can unload 48,000# of malt in 1 hr. By comparison. We unload 37,000# in 6hrs currently. In other exciting news, the Bikini Blond Lager was named the official craft beer of Hawaiian Airlines, should be on your flight as of this month! Congrats. 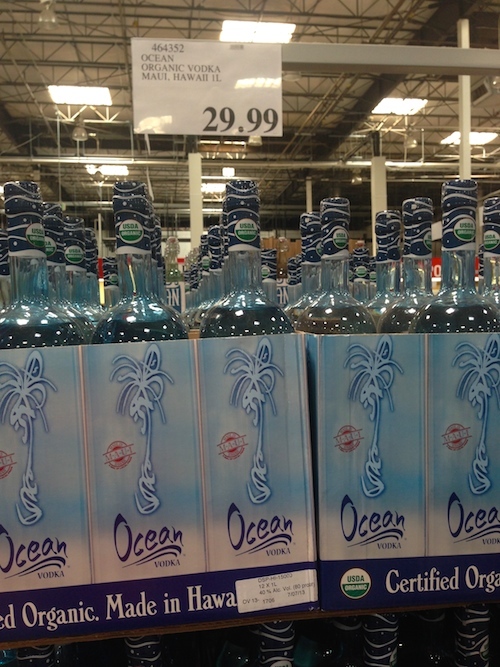 A well known secret amongst the locals (ok, its not a secret at all) is that the booze selection at Costco is stellar. They even regularly have someone to ask about the wine, so you can pick up something to go with your rotiserrie chicken or 10 pounds of sirloin. Besides wine, they have a pretty decent beer selection with an increasing selection of craft brews, and just about any kind of liquor you may ever want. I snapped some pics of the local choices just today, plus an awesome growler of Dead Guy Ale that glows. I’m assuming its the label that glows but who knows, maybe the beer glows. I should probably stock up since its almost my birthday…. Blogging Disclaimer: I am a paid consultant for Dazoo Restaurant. 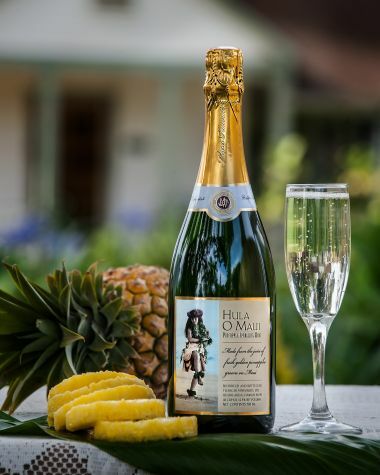 Maui Brewing Company is hitting the road, and North Shore residents will be stoked to learn they are bringing their brews to Paia for some special events in honor of American Craft Beer Week! I’ll admit, the call of the enormous chalkboard filled with delicious varieties of beer is sometimes enough to get us to drive over an hour… but it will be much more convenient for them to bring their beers to me! 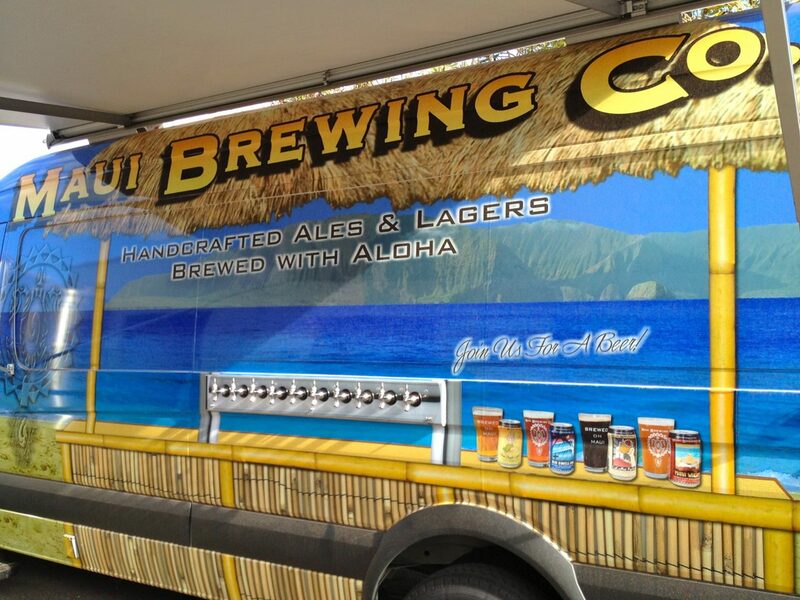 On Wednesday, May 14, from 5-7pm, Maui Brewing Company will be taking over the taps at Dazoo Restaurant! Special pupus and beer cocktails will also be on hand! Follow on Facebook to find out more about the timeline of the event. 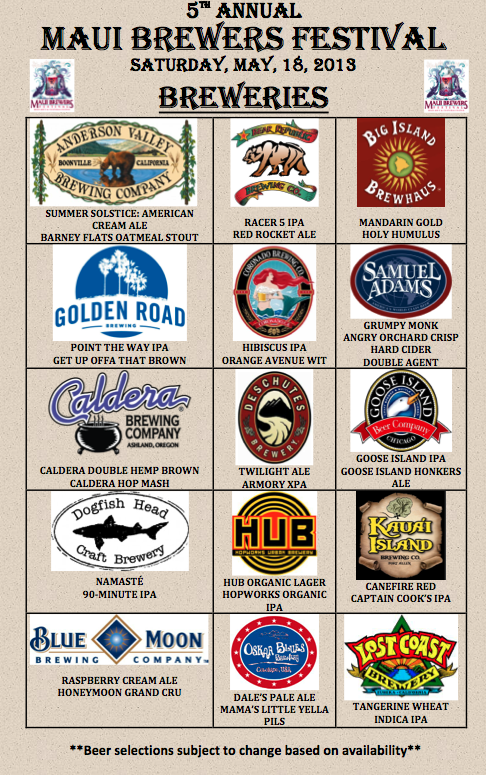 And finally, next weekend is the return of the very popular Maui Brewer’s Festival at the Maui Arts and Cultural Center! Disclaimer: I am a paid spokesperson for Dazoo. If you live on Maui, chances are you’ve already enjoyed one (or several) of Maui Brewing Company’s award-winning beers. 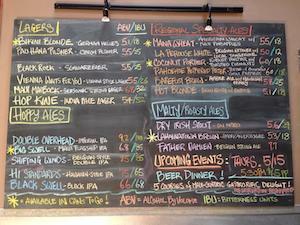 The brewery has a production facility in Lahaina and a brewpub in Kahana, which is open daily for lunch and dinner and offers an ever changing selection of over a dozen of their own beers on tap. MBC also offers four of its most popular beers in cans year-round (plus a few limited releases) at grocery and liquor stores around state, as well as 11 other states and 4 countries, if you aren’t lucky enough to live in Hawaii. 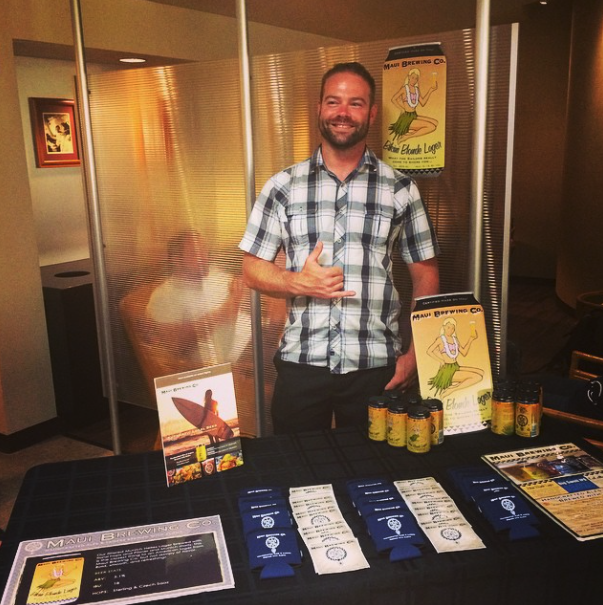 Founded in 2005, Maui Brewing Company is one of Hawaii’s fastest growing companies. They announced early this year that they would be opening a new production facility in Kihei, near the Maui Research and Technology Park. The facility will include a brewery, a tasting room and eventually a full-service brewpub. 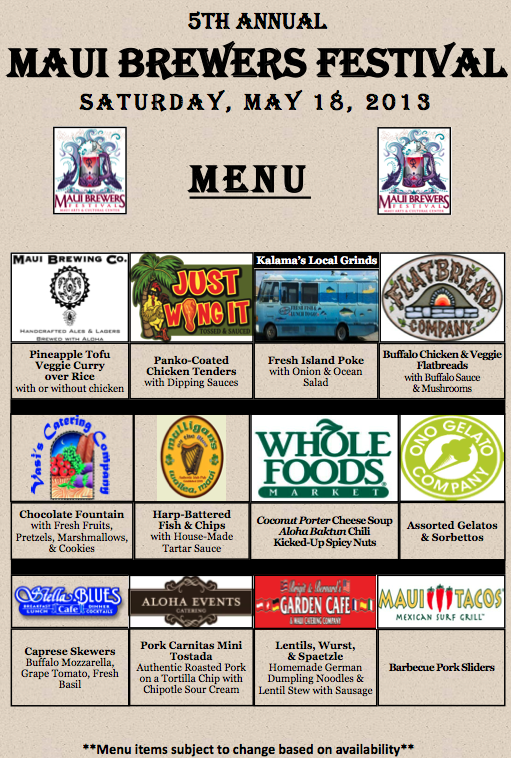 Until construction of the brewpub is complete, MBC is looking to have local food trucks on-site. The new brewery is being designed to offer tours on more of a daily basis. The Lahaina facility currently only offers tours a few days a week due to safety and production schedules. The new facility is also expected to increase beer production by five-fold, and they eventually plan to add hand-crafted sodas, ciders, meads and distilled products to their ever expanding menu of craft beer. I was curious to know more about the Kihei project. MBC owner and founder Garrett Marrero was kind enough to take some time out of his busy schedule for a quick interview, even answering a few of my follow up questions via email VERY early on a Saturday morning. I guess that’s how you become the owner of a successful company! Maui Made: How is the Kihei project going? Garrett Marrero: We are currently scheduled to break ground on July 8th. Its been quite the adventure planning every detail, researching equipment. The County has been very helpful as they see the success we’ve had already in bringing more jobs to Maui and showing that you can manufacture here. It’s going to be a long road by the time we’re done in kihei with all phases but it’ll be worth it. We simply cannot keep up with orders, local, mainland, and international distributors are all being shorted between 30 and 50% of what they order. We don’t actively sell beer in that we don’t have any reps in markets outside of Maui. This is just current demand for the 11 States and 4 countries we’re in. Kihei will help us meet demand and open more markets. MM: I saw the beer van at the Maui Brewer’s Fest (which was awesome by the way) – what’s the news with that? Is it available for public and private parties? GM: You bet, it’s often used for weddings, large parties and corporate events. MM: Do you have set rates or does it depend on the event? GM: It depends on the event but generally we have an all inclusive package that includes all 10 faucets with a different beer on each, a driver/beertender and setup, etc. The party definitely rolls up with us! MM: What’s the best part about doing business on Maui? GM: There’s a lot of great things about doing business here. I’d say my favorite is the job creation and direct community involvement. I always say my single favorite thing about what I do is giving someone a job. We don’t spend money on advertising, we instead support our community with events and fundraisers. Festivals are a big part of that. Also, because we aren’t absentee operators – we interact directly with the charities and the people affected by them. I often get stopped by people around town , especially at Whole Foods, I eat there a lot, and they thank me for the support of XYZ charity because they have a family member directly impacted by the cause we’re supporting. That feels good. 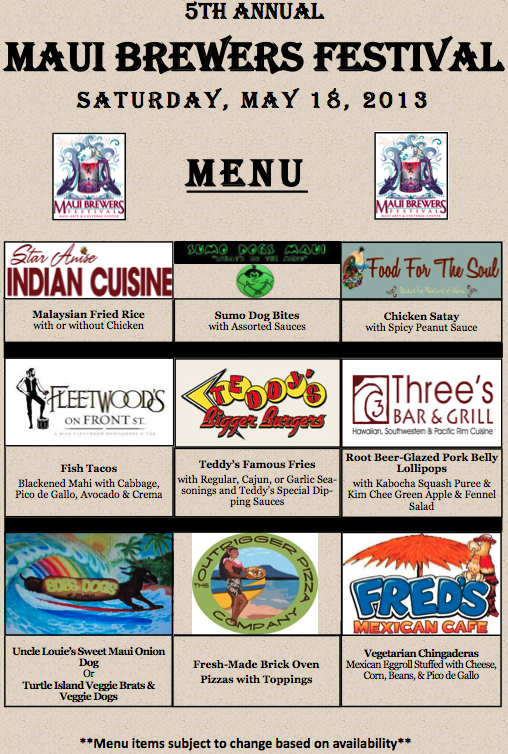 MM: Speaking of helping out with the community, this year was the fifth annual Maui Brewer’s Fest, is that your biggest annual event? GM: Yes. It is the biggest event we are title sponsors of each year. 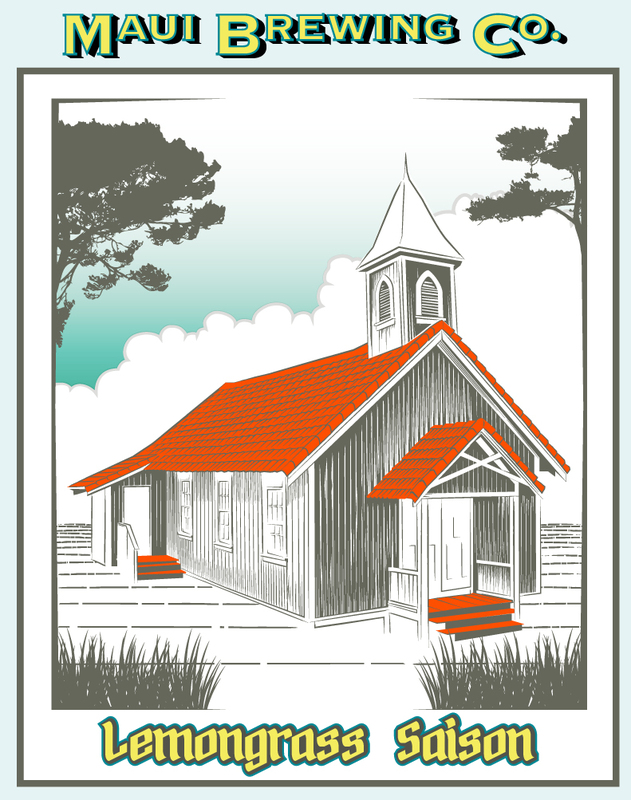 The MACC (Maui Arts and Cultural Center) is the organizer and all proceeds benefit them. 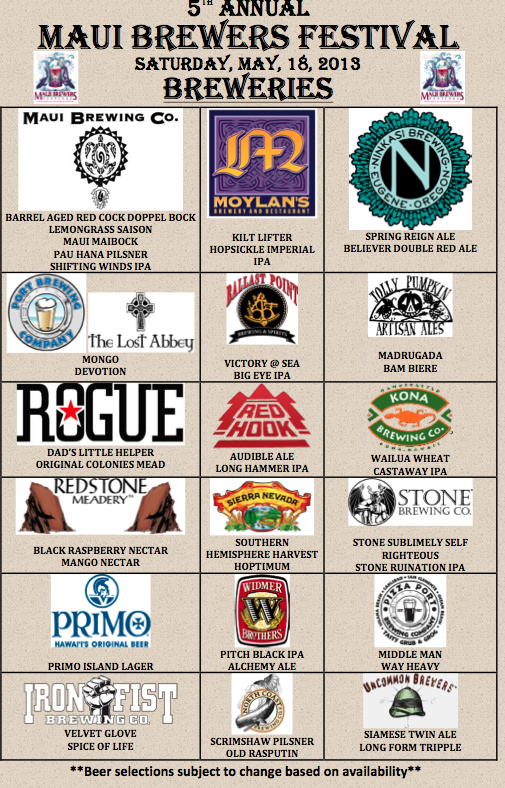 We are the chief sponsors and are directly involved in planning, primarily on the brewery side, each year. It’s been a great event for Maui. MM: Did you ever expect your company to grow this big so quickly? What do you owe the success to? GM: Yeah, sometimes it is a bit daunting, but I knew we’d get where we are. Sometimes it feels fast…other times not so much. I was talking with someone the other day and the best way I can describe it is we’re proud of all we’ve done, but we’re only just starting. When all phases in Kihei are finished you’ll see the complete vision as it is currently formed. Our success has come from a ton of hard work and support by our team of employees, now over 62, and the community. Sticking to our founding principles of brewing locally and being authentic, drawing on the agriculture community and promoting Maui and Hawaii has been important. At the end of the day, it’s being who we say we are, doing what we say we do, and continuing to innovate. MM: What are you most proud of so far? GM: I’m proud of the family we’ve created here on Maui. Not just our team, but our friends and supporters in the community. Making them proud, gives us pride. MM: What is your favorite beer? GM: Thats a really difficult one… lately I’ve been infatuated with the beers from the brewpub, Kaiao, our Lead Brewer at the pub, has been making some great ones, Hoku’ula Red and HI Standards IPA…. but this past week I’ve rekindled my love affair with CoCoNut PorTeR. MM: Garrett, thanks so much for the interview – now you’ve made me thirsty for my own favorite, the Big Swell IPA! The brewery handcrafts ales and lagers using only the finest natural and local ingredients. The owners’ passion for creating a great tasting beer has been proven, with their beers winning awards every year since inception. (Click here to see the list of awards up through 2012) The company is also dedicated to sustainability, donating spent beer grain to local farmers for feed and compost, installing solar panels on their brewery, and using bio-diesel from their brewpub for their delivery vehicles. The brewery uses aluminum cans for their retail beers for several reasons, not the least of which is the preservation of freshness and taste, which can be affected by light damage through a glass. Aluminum cans are made on Oahu, where as glass bottles would have to be imported from the mainland. Glass can also break, and when you are enjoying your nice cold beer on the beach in Hawaii, you don’t want to have to worry about stepping on broken glass. In another gesture of environmental awareness, instead of the typical plastic rings that can ensnare marine life, a unique, recyclable plastic carrying device is used to hold the cans. Still want more? Make sure to ‘Like’ Maui Brewing Co. on Facebook. What’s your favorite MBC beverage?